Slip into our Button-Up Satin Cami for a shot of new season cool. 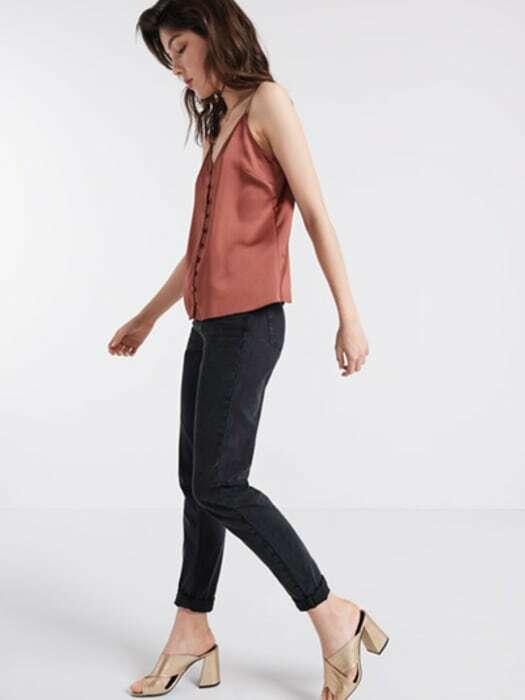 Suspended from super-skinny straps, this dressy-basic falls to a relaxed shape ideal for layering. As for the conker colouring, our rose-gold trinket necklace totally finishes the look.